Tommy Turtle is an Alligator Snapping Turtle who calls the Shallotte River Swamp Park his home. 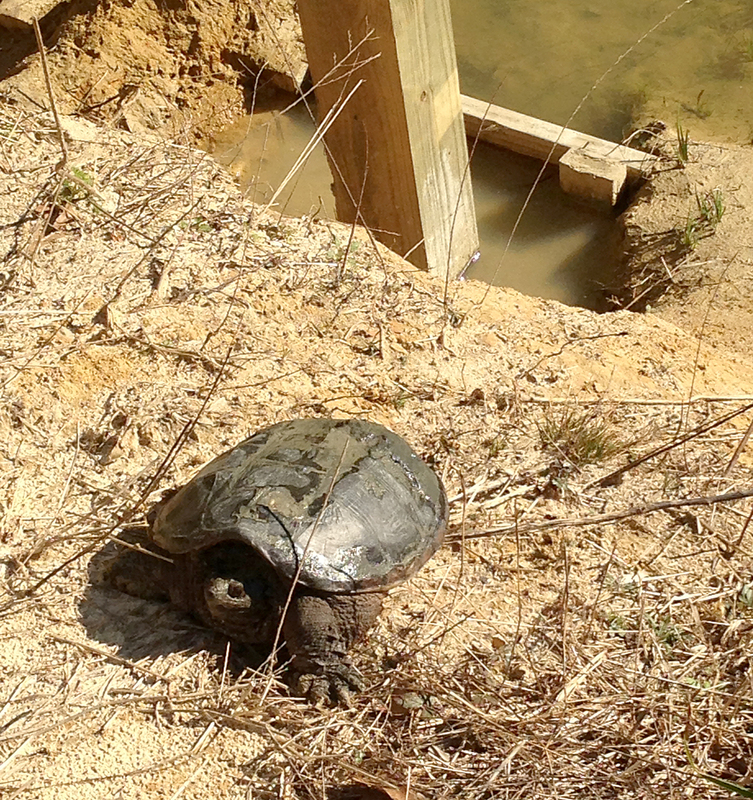 Tommy Turtle visited us last year when we were building the swamp park, taking up residence in the retention pond we built by the Birthday Party Activity Center Building. He immediately developed a liking for Sea Bass heads, coming to him fresh off the OIFC charter fishing fleet. Apparently, he has awakened from his Winter nap and is ready for some dining on our area’s best-eating fish. The charter captains need to get to work fishing as Tommy is hungry! Although Tommy Turtle prefers the heads, the filets will be available at the Ocean Isle Fish Company and the Fish & Wing Company in Shallotte. Think about Tommy as you dine.